The Deathly Hallows are such an iconic and vital part of the Harry Potter saga, so celebrate their legacy with this watch. 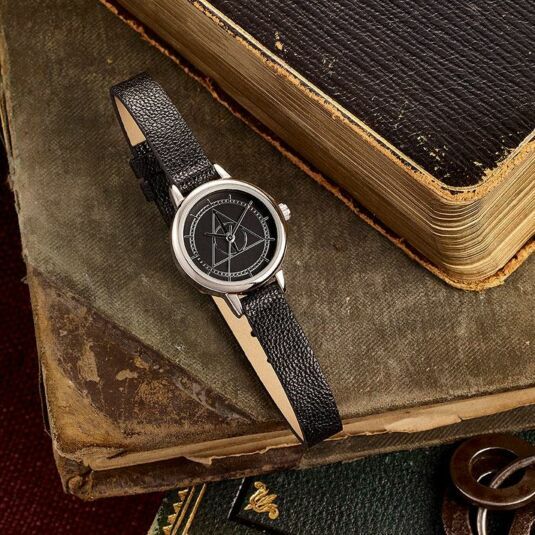 Celebrate the magical legacy of Harry Potter, and the Deathly Hallows, and add this watch to your collection. 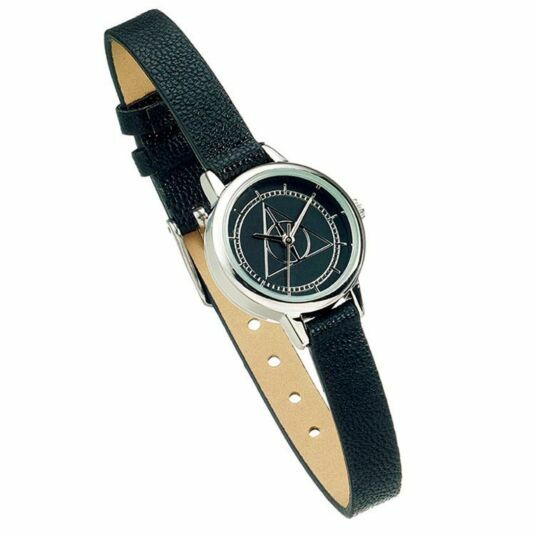 This sleek and elegant watch has a comfortable and stylish faux leather strap, coloured black. This strap can be adjusted to fit 8 sizes. The stainless steel body is a shining silver colour, with a silver plated bezel, and a graphic of the iconic Deathly Hallows logo is emblazoned upon the watch face. The watch hands and dials are a shimmering silver colour. It is difficult to gaze upon this watch without being taken back to all the amazing stories that JK Rowling told during this saga. 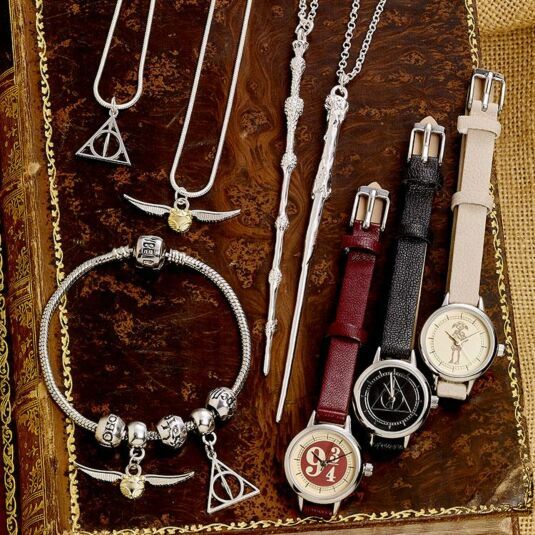 This watch makes a brilliant gift for any Harry Potter fan, and that includes you! This item comes with official Harry Potter branded packaging. 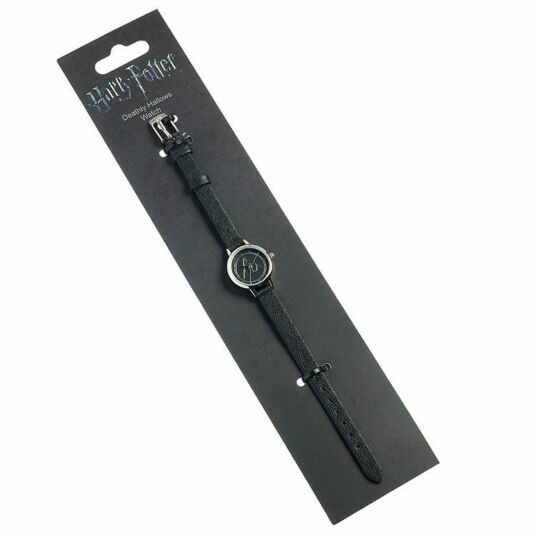 Your Harry Potter watch is manufacturer guaranteed for 1 year from the date of purchase against defective parts or materials.